Fort Worth residents are no strangers to the heat of the Texas sun. Unfortunately, neither are their roofs. While crazy storms can damage your roof beyond repair in an instant, that’s not the only thing that can affect your roof. Over time, the sun can cause your asphalt roof shingles to warp and crumble. That’s why it’s important to find a trusted Fort Worth roofing contractor who can keep your roof in tip-top shape with thorough maintenance and quality repair work. 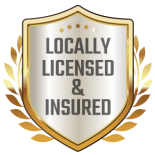 At Hometown Roofing, you’ll find a level of care and expertise you won’t find in other roofers in the area. We provide a wide range of roofing services and even offer emergency roof repair. As a one stop-shop for all your roofing needs — as well as a great reputation online and in the community — why would you go to anyone but Home Town Roofing for all your roofing needs? While the primary purpose of your roof is to protect you and your loved ones from the elements, it can also be the crown and glory of your house in an aesthetic sense as well. At Home Town Roofing, our expert technicians keep both things at the forefront of their minds. When your home’s roof is in trouble, you can’t afford to choose anything less than the best. 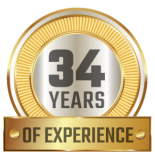 From our top-quality materials to our experienced roofing experts, we can tackle any job that comes our way. Best of all, we’ll start you off with a free inspection to ensure we’re intimately familiar with all the work your roof needs. Commercial roofing is an entirely different animal than residential roofing. However, we’re fully equipped to take that on too. If your commercial property is a little worse for wear due to hail damage or has suffered the effects of damage over time, we’re prepared to complete entire roof replacements. At Hometown Roofing, we design our commercial roof replacement and repair solutions around our clients. We don’t believe in one-size-fits-all solutions period, but this is especially true when it comes to commercial roofing where size, shape, and type of roofing materials used vary so widely. We’re here to help ensure your commercial roof protects you, your workers, and your valued customers. At Hometown Roofing, we don’t deal with the theoretical. We’re here to provide the best possible solutions for real roofing issues. If you live or own a business in Fort Worth, our team of commercial and residential roofers are here to help. 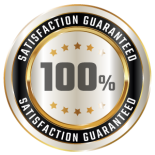 As a highly rated roofing contractor on Top Rated Local®, as well as a recipient of the prestigious Angie’s List “Super Service” award, you can trust us to complete the job to the highest possible quality standards. Contact us today to schedule your free roof inspection. We’ll be able to diagnose even the most difficult to find roofing issues and bring the perfect solution to the table for your needs and budget.